Service agreement Maximize productivity and cost control. 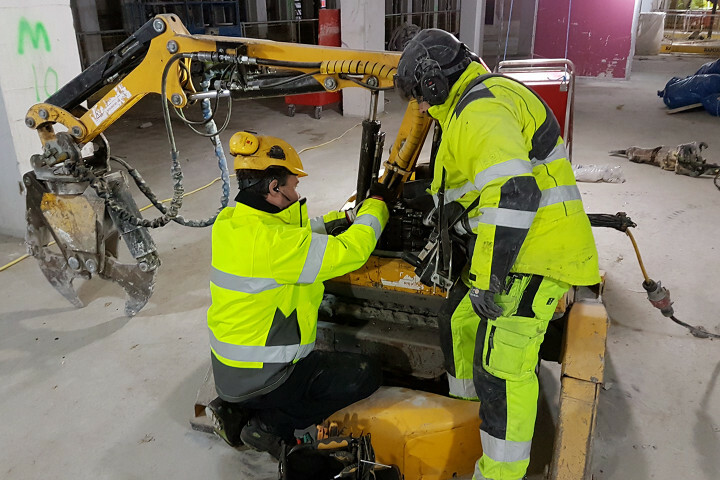 With Brokk Uptime service agreement, the performance and longevity of the machine is maximized, while downtime is minimized. Proactively. With a Brokk Uptime™ service agreement, you can rest easy knowing that your Brokk machine is always in good hands. With planned downtime and service intervals, we can ensure that service and maintenance takes place when it is suitable for you and your work. Every service is carried out by experienced Brokk service technicians and, of course, you can be confident in the exclusive use of high quality Brokk Original Spare Parts™. Contact us today to learn more about the best solution for you and your Brokk machine.